As we enter the fourth decade of this field, we are faced with ongoing technological advances to help patients achieve reproductive success. In a short lifespan, the field of assisted reproductive technology has allowed patients to overcome essentially any form of infertility. The serendipitous discovery of intracytoplasmic sperm injection (ICSI) by Andre van Steirteghem in 1998 has provided a means to treat men with little or no sperm. Egg donors have allowed postmenopausal women to have families. Preimplantation genetic diagnosis/screening (PGD/S) has given us the option to screen embryos for inherited disease and has enabled couples with recurrent pregnancy loss to deliver a healthy child at term. Improvements in oocyte freeze-thaw technology have provided women a means to electively preserve their future fertility. Numerous centers are actively investigating methods of ‘embryo profiling’, predicting an embryo’s genetic and developmental competence using proteomic and genomic technology. The current pace of innovation suggests that we will be seeing even more advances in the coming decades. With these accomplishments and with the recognition of Professor Robert Edwards as a Nobel Laureate, IVF is now firmly established in the mainstream of medicine and society. Increasing the safety and success of IVF therapy in the setting of continuing technological innovation is the prime objective of all IVF practitioners. As providers within this medical field, we bear responsibility as we ‘push the envelope’ with assisted human reproduction. 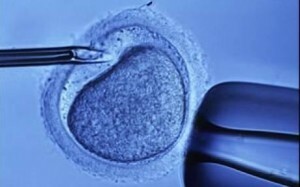 Indeed, we must always abide by the dictum, ‘primum non nocere’, or ‘first do no harm.’ As a field, we have adhered to, and will continue to follow, this command by striving to reduce the complications associated with IVF by decreasing the number of embryos transferred and by implementing safer stimulation regimens.